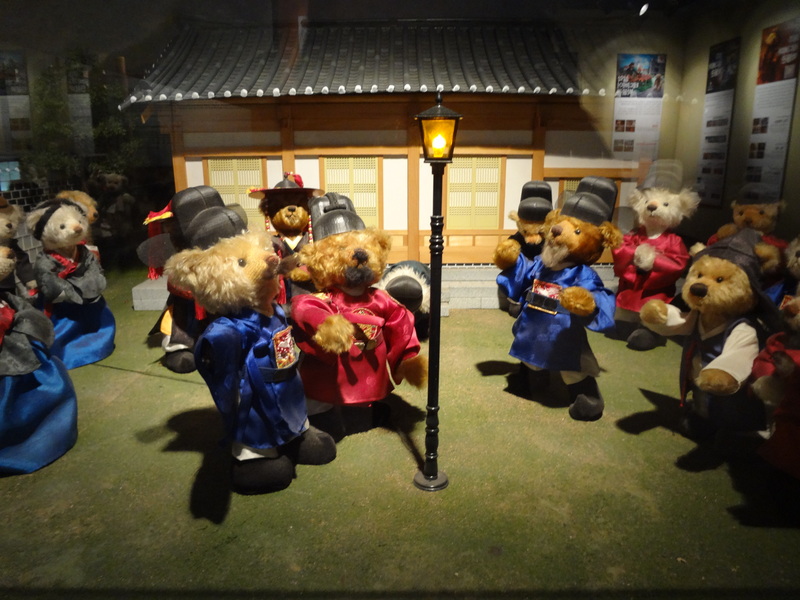 At the Teddy Bear Museum in N Seoul Tower, one can discover the history of Korea in the most adorable and saccharine way possible. 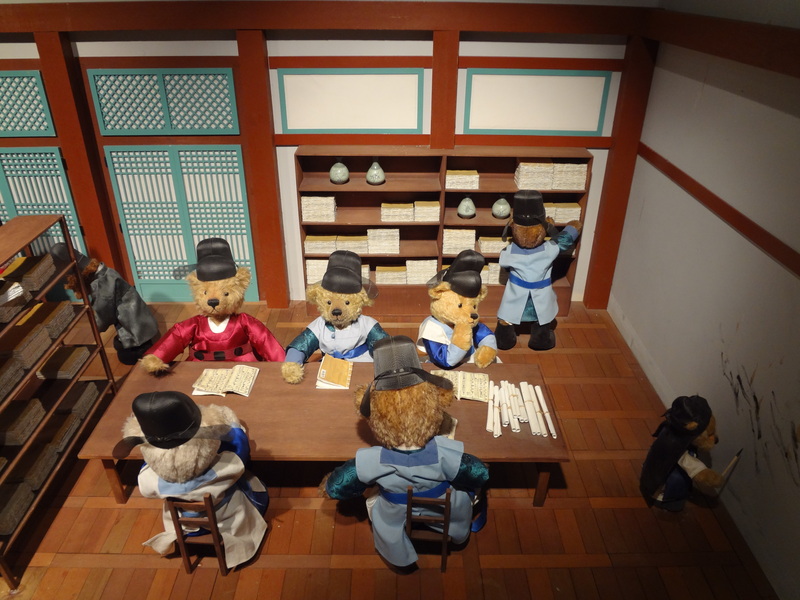 Hundreds of teddy bears, with most being mechanical, are dressed and arranged to form scenes from Korea’s old and modern history. Bears in royal court! Bears at war! Bears playing polo! Bears doing breakdance! Bears going on a date! Bears getting married! Bears! Bears! Bears! Some of my favorite scenes involve the arts and the sciences. 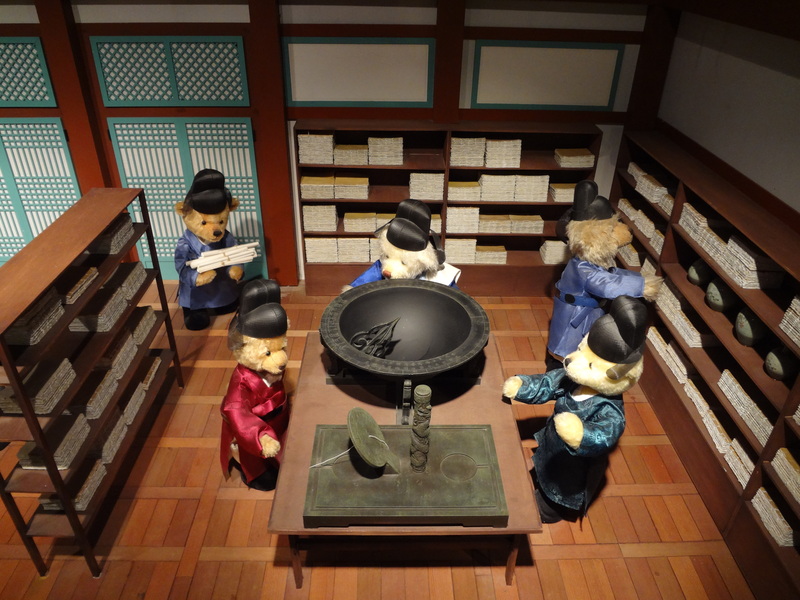 Here’s one during with scientists during the reign of King Sejong. Someone’s not doing what he’s supposed to. Can you guess who? 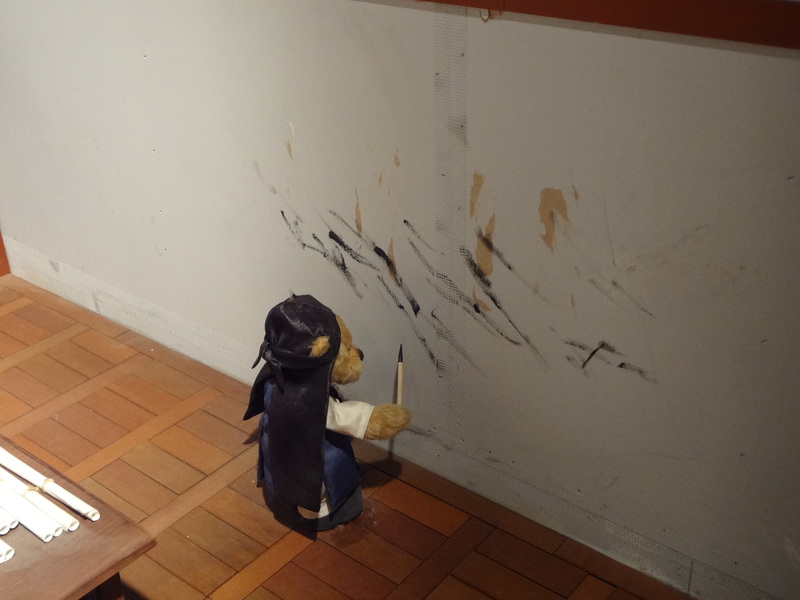 I love this little errant artist bear that could. This bear made me laugh. The first electric light in Korea! Sweet, amusing, and way more entertaining than your usual history museum.